Have you ever wished you could hear what others are doing to make a difference in their world? This podcast will give you the opportunity to hear from amazing creators of change from all walks of life. 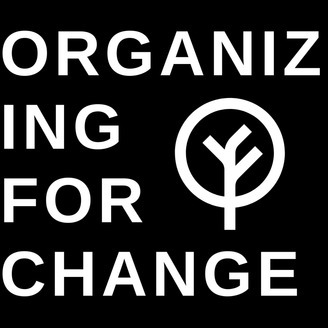 The goal of the Organizing for Change Podcast is to equip coalitions, organizations, and individuals to bring change to their community. 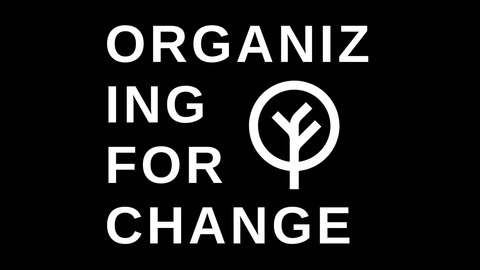 E-Mail us at: organizing4change@gmail.com. You all have helped this show grow into reaching people in every state and now over 40 countries! There are so many reasons for HOPE! This year the theme for the annual MONTANA SUMMER INSTITUTE is Reasons for HOPE: Building Positive, Healthy, Resilient Communities. This fantastic event will be held June 25th-28th in Big Sky, Montana. Participants will hear Dr. Jeff Linkenbach and the dynamic Montana Summer Institute faculty share cutting-edge science, tools and resources for building healthy, resilient communities. The 2019 Institute will focus on how Science of the Positive, Positive Community Norms, and Health Outcomes from Positive Experience (H.O.P.E) are creating new opportunities in prevention and driving community transformation on a wide range of health and safety issues. Join them in Big Sky to learn how positive, norms-based approaches can power up your public health and prevention practices, improve your leadership skills, and increase the effectiveness and sustainability of your projects. Host, Amanda Decker joins Mercer County WV, Commissioner, Greg Puckett. A native southern West Virginian with a passion for prevention, Greg Puckett has worked tirelessly to bring special projects and initiatives to the area in the hopes of preventing the use of alcohol, tobacco and other drugs amongst youth. As Executive Director of Community Connections, a community based 501(c)(3) non-profit, he advocates for strong public policy, and leads others to combat the addiction epidemic and community revitalization/stabilization efforts. He currently serves on several state committees including the Governor’s Committee on Crime, Delinquency and Corrections: Juvenile Justice Subcommittee, and serves on the Board of Community Anti-Drug Coalitions of America (CADCA), where he is a past recipient of CADCA’s National Advocate of the Year award. In 2010, Puckett also assisted CADCA in securing funds to host the first-ever, statewide National Youth Leadership Initiative. On this episode we discuss changing the look of a community to change how people act in the community, the importance of the media and the value of having coalition "events". As always If you find this episode helpful, would you please help us get the word out by sharing it with a friend or colleague? And please leave a review. That is the best way to make sure other folks can find out about the podcast. Community Coalitions have a lifespan. Don’t keep a coalition going “just because”. Greg explains how his coalition became stale and stagnant. The group had done some significant work in the community and now did not have new momentum for the future. The coalition was shut down, and a new coalition emerged within 6 months and was energized to take on new initiatives to reduce substance use. Understand the culture of your community, not just the statistics. If you can change the way a community looks, you can change the way a community feels, and if you change the way it feels, you will change the way it acts. Speak “Hope” into your community. Change starts with you. Take some time as a coalition to think about what each of you are saying about your community. Are you reinforcing the positive or the negative? Events are not evil.Policy work can take a long time and although it is the most effective in reducing substance use, it can be tough for people to stay involved in your coalition during the process. Holding events that rally the community together and keep them engaged, can bring momentum to your coalition and keep the work moving forward. 26 - Why Does It Matter?